Blue Jays are gorgeous birds! They are a feast for my eyes…..we don’t have them in Africa! Thanks…that’s part of the fun! Birds take a lot of patience and time…watching and waiting. Then you move fast before they fly away! I too wait and only managed a few very good photos though my cockatiels pose much. “Breakfast of Champions”! Ha – that’s cute! 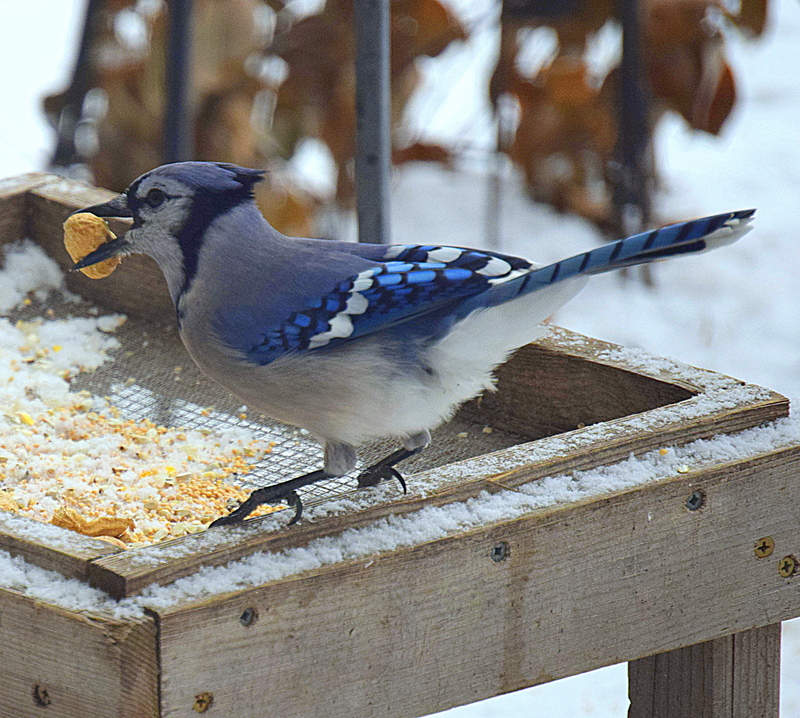 Yes, peanuts are much more popular than Wheaties with the birds (Ha!). Yes, they are very striking birds. What a terrific photo–thanks for sharing! What a sweet bird. Great detail and colour! Lucky to get a shot before he flew off! Yes, it’s so nice to see some color! Such a beautiful pattern on the bird’s back. Yes, they are quite attractive. What a beautiful bird and gorgeous colours!